While this is not a canonically defined Pastoral Letter, Bishops Douglas and Ahrens strongly suggest that the clergy of the Episcopal Church in Connecticut make this letter available to all in their charge, including posting it and/or having it read in the parishes of the diocese on Sunday, February 5, 2017. Last Friday, January 27, 2017 President Donald Trump signed the Executive Order entitled: "Protecting the Nation From Foreign Terrorist Entry Into the United States". This far-reaching and sweeping Executive Order includes, but is not limited to: suspending our country's refugee resettlement program for 120 days, suspending the resettlement of Syrian refugees for an indefinite time, reducing the number of refugees to be admitted to the United States in this fiscal year from 110,000 to 50,000,and prohibiting entry into the United States of citizens from Iraq, Iran, Libya, Somalia, Sudan, Syria, and Yemen for a period of 90 days. This Executive Order contravenes our American values of welcoming immigrants and refugees to our shores and makes a mockery of the words on the Statue of Liberty: "Give me your tired, your poor, your huddled masses yearning to breathe free...."
For over 35 years the Episcopal Church in Connecticut has worked to welcome refugees to Connecticut, first through Episcopal Social Services and currently in cooperation with Integrated Refugee and Immigration Services - IRIS http://www.irisct.org. Our last three diocesan Annual Conventions articulated our support of IRIS and refugees. In 2014 we entered into a covenanted relationship with IRIS promising to work together closely in settling refugees. Read resolution here. In response to the growing refugee crisis in Syria, we committed ourselves in 2015 to co-sponsoring the resettlement of a minimum 30 refugee families in 2016. Read resolution here. And at our last Annual Convention in November we reiterated our support for IRIS and asked parishes and individuals to give to IRIS and consider sponsoring a refugee family. Read resolution here. Speak Out: Use your voice to share your concerns about the Executive Order. Write an editorial to your local paper; use social media to connect; participate in vigils, gatherings, and witness opportunities; and sign onto petitions. Along with other faith leaders, we your bishops have recently signed the Interfaith Immigration Coalition Letter to President Trump. See letter here. Advocate: Write, call, email, and text your local Congressperson and Senators Blumenthal and Murphy sharing your position on the Executive Order and encouraging their efforts to work against the Executive Order. Attend: Participate in the annual ECCT Companions in Mission Ministry Network conference: "Refugees and Immigrants: Across the Street and Around the World" to be held at St. John's Episcopal Church in West Hartford on March 4, 2017. Registration can be found at here. Collaborate: Work with your parish, other parishes in your area, ecumenical and interfaith partners, and community organizations to welcome refugees into your neighborhood through IRIS and other refugee resettlement agencies. Give: Donate generously to IRIS http://www.irisct.org/index.php/financial-donation/ and other refugee resettlement agencies such as Episcopal Migration Ministries http://www.episcopalmigrationministries.org/how_you_can_help/donate_now.aspx so that they can continue their work resettling immigrants and refugees. Additional ideas for how you can help are found on the Episcopal Migration Ministries website here. Thank you for your attention to the plight of refugees and immigrants in the world, and especially in the United States at this time. May we see Christ in those who are different from us, welcoming strangers and aliens with open arms of hospitality, love, and generosity. God's mission of restoration and reconciliation compels us to continue to settle immigrants and refugees in our country. 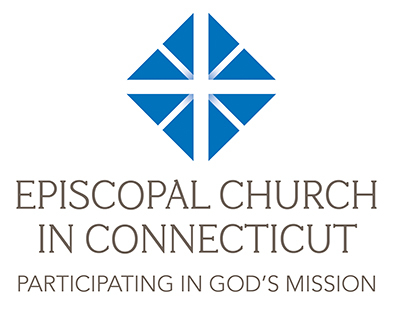 The Episcopal Church in Connecticut includes the entire state of Connecticut and currently includes 168 parishes and several other local eucharistic communities. The basic unit of the Episcopal Church is the diocese, a geographic area. It is headed by a bishop. (The word "Episcopal" comes from the Greek "episcopos" meaning overseer). Our diocesan bishop is the Rt. Rev. Ian T. Douglas, 15th bishop of Connecticut. The diocesan bishop is assisted by, and works closely with, the Rt. Rev. Laura J. Ahrens. Based on 2010 parochial report data, there are about 59,200 baptized members in the Episcopal Church in Connecticut and average Sunday attendance is about 18,000. The annual business meeting of the diocese is called the Annual Convention, and takes place in late October. The Episcopal Church in Connecticut is one of over 100 domestic and overseas dioceses in The Episcopal Church. The Episcopal Church is one of 38 Episcopal or Anglican churches around the world that comprise the worldwide Anglican Communion.